This month we talk to ‘musical polymath’ [sic] Danish composer, Christian Rønn about his recent time here at WORM. 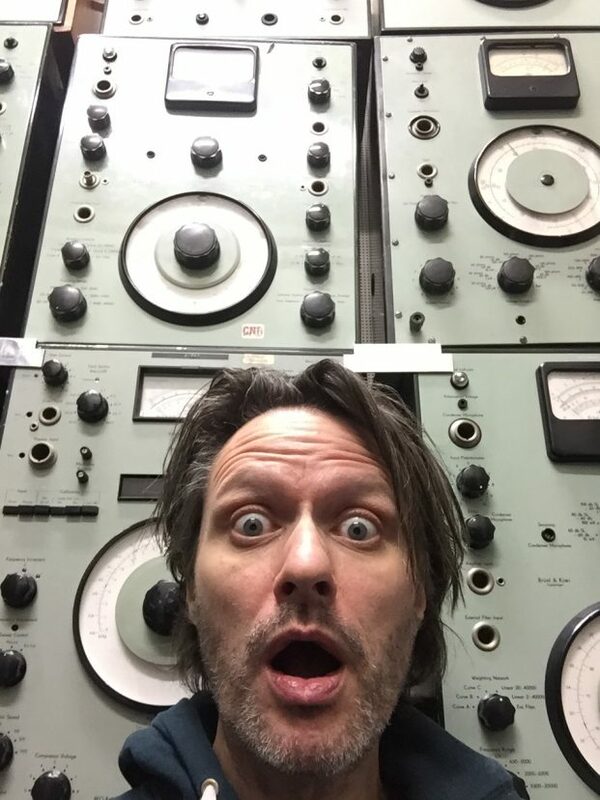 My name is Christian Rønn and I am a Danish composer and performer working solo and in collaborations on the danish scene for electronic/electroacoustic music, freeform, soundart, filmmusic and related areas. I trained as a classical organist, and I’m currently playing in many electronic and freeform-constellations, bands and collaborations. I am right now working on a piece for church organ and electronics for which I have been recording some sounds in WORM Studio also, as well as writing the piece “Worm Dogma”. What do you want to make at WORM Sound Studios? I was commissioned to do a 20 minute piece while doing a residency at WORM Sound Studio. The piece is titled ‘WORM DOGMA’. Dogma 1: The piece was to be composed so that the start and end of the piece could “blend” in with commercial music in popular radio. The rest of the piece transitions into very experimental territory, using contemporary electronic and electroacoustic production-techniques such as feedback, morphing, timestretching and granular synthesis. The audience is supposed to get an intense experience of this very unusual transformation. Dogma 2: Only equipment from the studio was to be used. Dogma 3: Use recognisable field recordings from Rotterdam. I performed the piece at the “Wolfart Projectspace” as part of a “Readymade” night. How do you approach making sound? The collisions between genres and tropes has always interested me. The ‘grey zone’ areas where something is on the verge of breaking up and transforming into something else. The stretched out sound of feedback just before it feeds or the battle of two frequencies fighting to dominate the aural space. The moment before the vibrating string distorts and the seconds just after the huge church organ cluster chord is released and hangs in the air and we wait….. This translates into my music, but not always in the most obvious fashion, even though it’s most definitely informing my work. Trying to stretch out and examine these moments of “in-between” and unrecognisable states of being, I aim to give people an experience of transcendence. A journey beyond language and dialectic thinking. Any particular equipment you had your eye on at WORM? I used the Arp2600 a lot and ran my acoustic feedback-setup through it. Also abused the tape echoes, the mysterious resonance machine and Yuro Landman’s instruments. I ended up with a lot of recorded material that I am now putting in to good use in a new commissioned piece called “Pendulum Zero”. And of course, I finished “Worm Dogma” with the help of the gear there. What do you think of Rotterdam? What a city… wow….nothing bad to say about this place filled with lovely inspiring people, art and the best food.